She never fails to turn heads with her eye-catching sense of style. 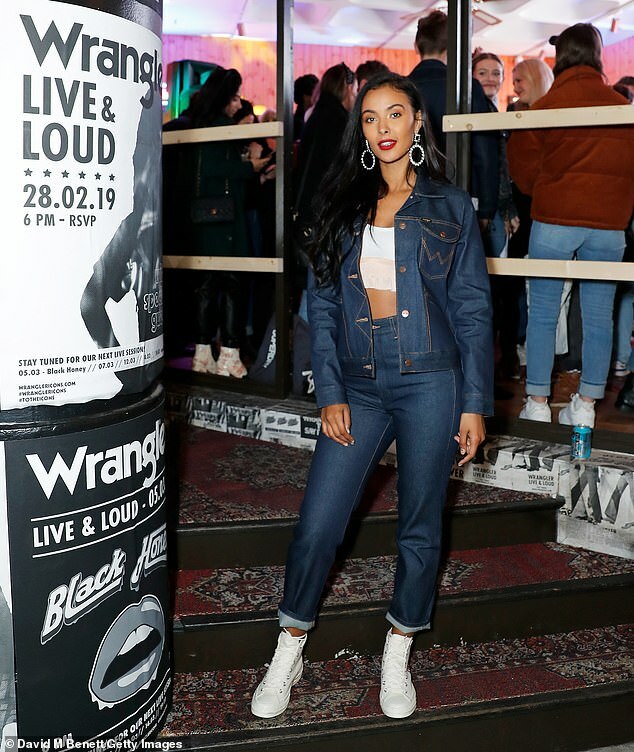 And Maya Jama looked radiant as ever as she attended the Wrangler ICONS Pop Up to launch their new collection in Soho, London on Thursday. The TV presenter, 24, donned a denim jacket and matching jeans with a turned-up leg. Maya added to her look with a light blue crop top with a peach bottom and sported box-fresh white trainers. Styling her raven locks into loose curls, Maya wore a daring red lip and accessorised with hooped earrings. 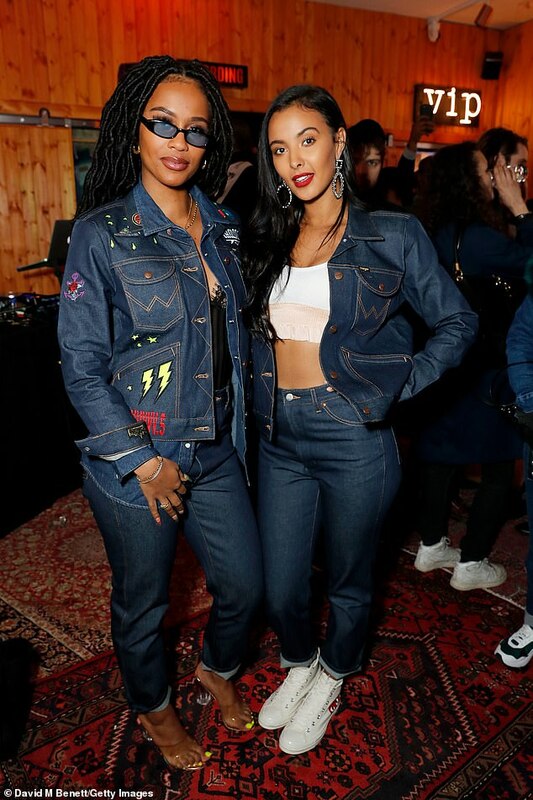 The TV star posed alongside rapper and singer IAMDDB who also went for a double denim look in a jacket with multi-coloured prints. She added height to her frame with translucent heels and accessorised with a pair of shades. Maya was signed to Radio 1 a year ago as part of a major schedule shakeup and currently hosts shows on Saturday and Sunday. 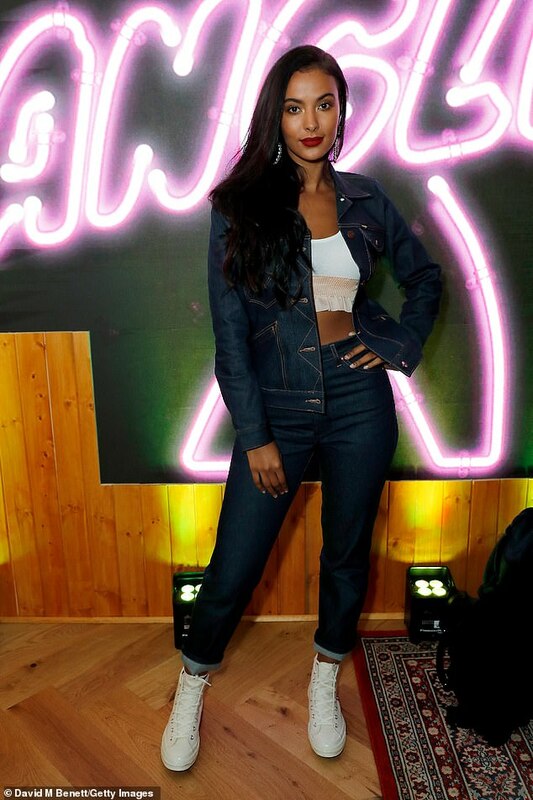 The busy star has also been working on her second self-designed clothing collection for online retailer PrettyLittleThing recently, alongside her TV presenting work. Away from work, the rising star has been dating rapper and grime star Stormzy – real name Michael Omari Owuo, Jr – for coming up to four years. The couple went public with their romance in 2016 after keeping things private for the first part of their relationship. Maya recently had a message for her Instagram followers, telling them in a post on her Stories that she’s been ‘struggling’ with her mental health. ‘Finally accepting that I’ve been struggling with my mental health for a while now, for ages I shrugged off feelings and would try to make excuses for why I felt low because I couldn’t explain what I was feeling or why,’ she wrote. Adding: ‘I’ve been wanting to cancel plans n shut off but I’m not going to today because something I have learnt is that as bad as it feels now it doesn’t last.